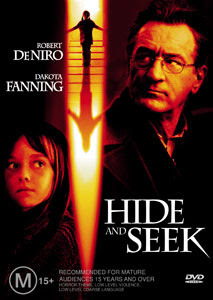 After the suicide of his wife (Amy Irving), David Callaway (Robert De Niro) takes his mentally disturbed 9-year-old daughter, Emily (Dakota Fanning) to a new home in the country in upstate New York. Instead of getting better, Emily begins to withdraw further, and she announces to her father that she has a new imaginary friend named "Charlie." At first, her father sees Charlie as a way for Emily to express her feelings. Then a series of vicious acts such as menacing writings appearing on the bathroom walls, and other mysterious occurrences start happening around the house. David blames Emily for doing them, but Emily says that Charlie did it. But is Charlie imaginary? You'd have to ask Emily, who is the only one who can see Charlie. Charlie may actually be both real and very dangerous.